The Gevalia International Kona Cupping Contest is a prestigious annual event which challenges Kona farmers to grow and process the best Kona bean. Over the course of a two day double blind taste test, a panel of international coffee experts judge the Kona estates’ entries on fragrance, aroma, taste, nose, aftertaste and body. 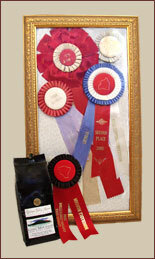 Long Mountain 100% Kona Coffee has been an honored finalist a total of six times, winning the Silver Medal twice. 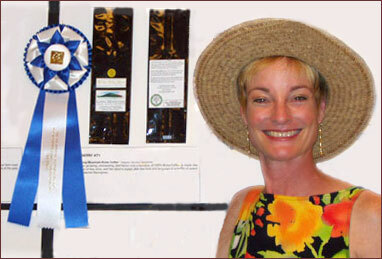 Winner, 2003 Kona Coffee International Cultural Festival Label Contest.